Our Faculty in Valjevo is dedicated towards taking active part in the activities provided by this comprehensive programme. Guidelines towards basic and more detailed information are provided below. They are especially focused on the needs of our faculty student who plans to spend a semester abroad on a partner university in EU. You are advised to read carefully all information about possibilities, your obligations and procedures before you turn to your Head of department/ Study program and our International Office. All information necessary will be provided here, so at any point you will be directed towards this page. Note that these opportunities are valid only for those universities that the faculty has “Erasmus+ Agreement of cooperation” with, so turn to the website sections Agreements of cooperation and Activities/Ongoing projects for those details. Our International office will be at your disposal only after you have invested effort into getting familiar with this programme, and will assist you in reaching your mobility goals within boundaries of this programme. ERASMUS+ is EU programme for education, training, youth and sport. It aims to boost skills and employability, as well as modernising Education, Training, and Youth work. By 2014-2020 the programme will have provided opportunities for over 4 million Europeans to study, train, gain work experience, and volunteer abroad. More about Erasmus+ represented in numbers is available on the following LINK. Overall information about the possibilities within Erasmus+ is available on the official Erasmus+ Website or National agency for Erasmus+ in Serbia on the official website (most information is available in Serbian as well). However, you might want to start from bits and pieces of information. Therefore, Erasmus+ in a nutshell is available in this official leaflet. All starting information about Erasmus+ is available on this LINK, where special attention should be paid to the section Higher education. From 1st January 2019, Serbia is no longer Partner, but a Programme country within Erasmus+ programme meaning that the rights, opportunities and obligations are equal to those of full EU-member countries. 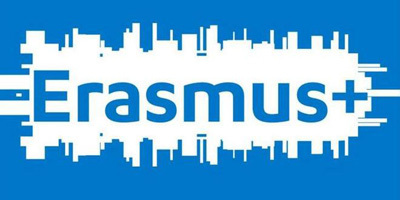 If you are a student, you are probably most interested in Mobility schemes within Erasmus+. Therefore, it is necessary to go to this LINK and read about many of its aspects. When you have realized all the benefits and opportunities offered by the programme and your Faculty in Valjevo, you are probably primarily interested in financial aspects of your mobility. Certain details are available in the tables below. For mobilities within projects applied for and approved before 1st January 2019 – Serbia as a Partner country (check at website or with International office). The deadlines for application to your International office are available in the website section Agreements of cooperation.